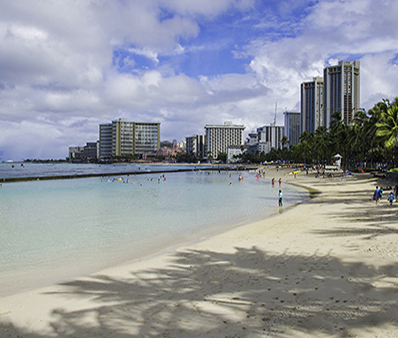 Get2Hawaii’s ® internet-accessible, friendly environment enables travel suppliers and retailers to access and share extensive inventories of air fare, hotel rooms, cruises, rental cars, and destination services. Our clients include thousands of suppliers, agents, affiliate sites, consumer sites and specialized travel wholesalers. Agents can use AgentDirect to easily and quickly book travel directly through wholesalers or suppliers replacing the former processes of numerous phone calls, faxes and email. Individual (FIT), group, and corporate travelers can use our solution to find and instantly book great fares, from flights to hotel to rental cars with a few mouse clicks. No more surfing multiple sites or waiting on the phone! Global, regional, specialized travel wholesalers can use our solutions to increase the distribution to agents, travelers and suppliers enabling their customers to create low-priced, customized travel packages 24 hours a day. Airlines, hotels, cruise lines, rentals and activity providers can more efficiently manage their travel inventory to better serve wholesalers, agents and travelers by offering them the convenience of ‘one-stop shopping’ for complementary travel needs: flights, cruises, hotel rooms, rental cars and activities. Your travel booking site can be completely branded to match the look and feel of your own website. We utilize your colors, banner, footer and menu files to ensure a seamless transition for the customer. In addition, if you have a special hotel or car contract, Get2Hawaii’s ® system allows you to load it into the system and bundle it with Get2Hawaii’s ® expansive network of inventory. Create full promotions using your own contracts! With Get2Hawaii ® you set the price point by specifying the percentage or dollar commission you want to achieve from sales. Our systems even allow you to vary commission by trip type and package type and all promotions can be custom-priced. Our great wholesale rates mean that retail prices inclusive of your commission can be competitive with major online sites such as Expedia and Orbitz. Your booking site will be live and ready for bookings within 10 business days after we receive your setup and branding materials. Enables customers to narrow searches by island region, hotel chain, hotel room type/view, car company and car type. All inventory we display is available at the price quoted. We don’t quote fares that aren’t available. Prices displayed to the customer are all inclusive of taxes – what you see is what you pay. Enables customers to easily compare prices and select different car types throughout the booking process. Enables customers to easily compare prices and select different hotel room types/views throughout a booking. Merchandised in a special section of the booking page, these offer your customer great rates and/or extra amenities. Get2Hawaii ® often gets distressed inventory or special promotions directly from properties and this allows you to offer these deals to your customers. A valuable customer offering, travel insurance is available for all itineraries at your discretion and pays you a 10% commission. We offer extensive Kama’aina rates that are only available to Hawaii residents. In addition, we’re constantly working to improve the customer experience on our sites. Feature enhancements are deployed to your booking site automatically at no cost to you. We offer anytime 24/7 access to online sales and commission reports for your booking site. In addition, we email you monthly sales and commissions reports in convenient PDF or Excel format. We guarantee 99.5% uptime for your booking site. We provide full service, toll-free telephone and email customer support to customers of your booking site at no additional charge. Customer support, neutrally branded as “Online Travel Services,” is handled by our staff of Hawaii-based travel professionals. Why Become an Affiliate Today? Customers expect more from today’s travel site. Whether you are a newspaper attempting to broaden reach or a destination site trying to expand offerings, it is crucial to offer competitive, professional travel offerings to your client base. Contact Get2Hawaii ® to get started.